Community Theater is a great outlet for folks who enjoy expressing themselves artistically in front of and with their family and friends. NAC has been that great outlet for many of you since the 1970’s! Rising costs for venues and theatrical rights for shows have had an effect on Community Theater budgets. NAC has two choices in dealing with this situation: raising money so that the show can go on, or striking the stage one last time and closing the curtain forever. We have decided to look at ways to creatively stay in the acting business, and here is where we need your help. Many theaters have Benefactors who offer monetary support. We are looking for Benefactors, but we prefer to call them “BeneNACtors”! What does your donation get you? Receive a family membership for the current year ($10 value). A membership entitles you to purchase additional tickets at a discount of $2 off per ticket for the first 5 Tickets. 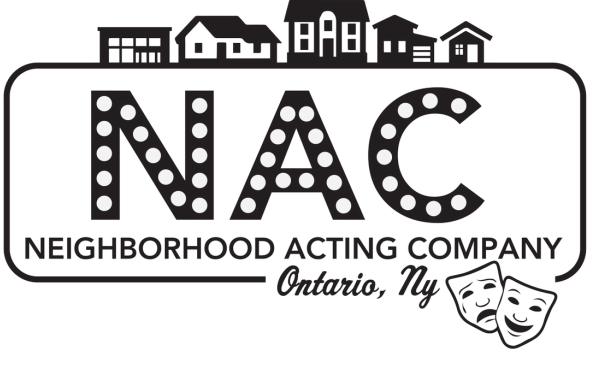 We have all enjoyed working with NAC over the years, and would like to see NAC flourish into the future as more young NACtors and their families become involved with Community Theater. We have been there for you and for your love of all aspects of theater. Can you be there for us now? Being a BeneNACtor would be a wonderful way to “pay it forward”! Complete the form below and either hand it in to a current Board member or mail it in!! 2016-2017 BeneNACtors - The First Group!! Click below to find us on Facebook or email us with questions!